How to update your daily look, be sophisticated and above all look modern by wearing BmB Bamboo bags appearing to the next fashion show during London Fashion Week? 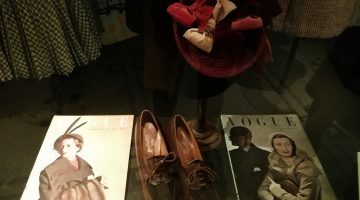 As we approach the London Fashion Week in February 2018 I pay attention to what I really love to wear. In my eyes, there is always an atmosphere of change and my attention to my fashion style is inspired by pieces designed for a simple life. Sometimes walking down the street in London that I love, I do believe that design is the visual expression of our thought, flawless, classic, fabulous, exceptional and first class. Then all of a sudden everything becomes clear in my mind about my daily look. The fluidity of movement becomes my priority. Free to move, free to attend the one after another designer’s fashion shows, to really be part of London Fashion Week. 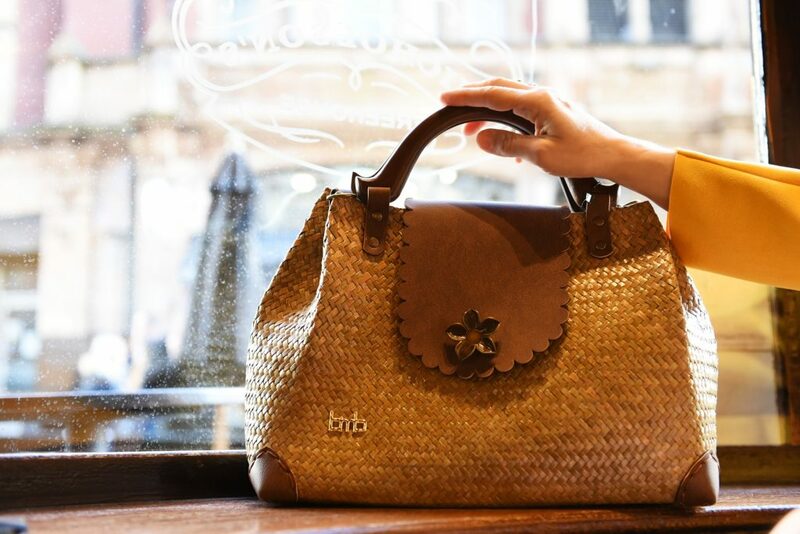 Above all are you ready to take the risk to reveal the secret beauty of color during London Fashion Week and embrace today new sustainable ways of living for your street style inspired by BmB Bamboo bags? Don’t lose a minute and don’t worry, listen to your thoughts now! Thinking about color and having my morning coffee in a London’s coffee shop I listened to my secret voice, that voice which always pushes me to make a step forward ” Throw any word, any shape, any color you like into a vessel and choose the one that makes you hear the shape”. For me, color is the real sense of design. My new color palette for Fashion Week Style is inspired by our environment being always curious about new intelligent stying ideas. Materials like bamboo are becoming vital and focus on wellbeing and community. It is about an organic palette with dark tones of tobacco brown and intense orange yellow. Wearing my Bamboo Lady BackPack byBmB bamboo bag in the mixture of dark brown with natural color shades remind me of the elegance of simplicity. I do believe that future thinkers in fashion will invest in sustainable ways of living. I do love Orange-yellow color as it’s a really optimistic color and adds light to my final look. Tender natural tones showing respect for our environment and look more closely at the small things in life. Let’s keep on being elegant every day, update your look in London during London Fashion Week, wear your Bamboo Backpack bag and make a deal today: How do you feel wearing everywhere nature’s materials accessories, do it now and every day keep on smiling? The choice is yours! My London Fashion Week key look is inspired by my love for balance. The all-time favorite like this yellow trade coat makes me feel feminine, stylish, chic, elegant and sophisticated. The absolute value in your Fashion Week Style. Comfortable shape for a slower approach to your stylish life.An amazing look inspired by nature’s materials like Bamboo that give us life, harmony, and unity. The simplicity of my deep brown leather belt and cork jewelry by BmB Bamboo bags embrace my love for natural quality, authentic and calm style outfits. How do I feel wearing this amazing coat with my Bamboo Backpack Bag? Really excited, ready for the next fashion show. How do your emotions affect your daily wardrobe? and above all your life? Let your self-free to feel your emotions and enjoy your life. I love London, I love fashion week, I love the real style and I’ll keep on smiling. That’s how I update my look during London Fashion Week. Let’s DO IT! DO MORE! How Sustainability become in Style for your dress code? Take the risk to Choose.Sustainable fashion during London Fashion Week, find the right balance for your fashion style. your head prior to writing. I have had difficulty clearing my thoughts in getting my ideas out. the first 10 to 15 minutes are wasted simply just trying to figure out how to begin. Any ideas or tips? First of all, thank you for your comment. Please keep on visiting my blog. An article about my daily life will be posted in the next days. It’s my pleasure to share with all of you my personal experience and probably help you to express your self through writing. Thanks for the meal!! But yeah, thanx for spending time to talk about this subject here on your website. I’m so happy to know that my article helps people to find new ideas and learn something more. Your comment made me really smile today. Thank YOU! I would like to thank you for your comment. More articles will be posted real soon referring to style during London Fashion Week and natural materials. Your comment is always important to me. Thank you indeed for your comment. It means a lot to me to know that my posts are helpful. I’ll keep on creating new ideas for all of you. p.c. to pressure thhe message house a bit, but other than that, that is magnificent blog. Thank you so much for your comment. Every time I’m writing a new post starts a new journey through creativity for me. It’s so nice to know that you love to follow my journey. Keep on messaging me. Your comments always help our creative industry. you’re a professional in this subject. Fine along with your permission allow me to grab your RSS feed to stay updated with imminent post. It means a lot to me to know that you really like my writing. Please keep on visiting my website. An invitation to all creatives will be announced soon. Thank you! Thank you for your support. New articles will be posted soon. Your comments and ideas are always welcome. roommate! He continually kept preaching about this. I’ll send this article to him. Thank you so much for your comment. It means a lot to me to know that you enjoyed indeed my writing. I’ll keep on sharing more content and fresh fashion ideas with all of you. Stay amazing! Thank you for your comment. It would help me a lot if you could inform me what kind of information are you searching for. I’ll do my best to help you if I can. That’s amazing news. I’m happy that you enjoyed visiting my web page. Keep on sending me your comments. Your ideas challenge my creative imagination. Thank you indeed. Comments are really important for our creative industry. Fashion is teamwork and people that read our articles are the best part of our daily life. You are welcome. Welcome to our conversation. Every Monday I love to answer to your comments. I’ll be waiting for your ideas or questions. Your comment helps me to keep on sharing more creative ideas with all of you. Thank you indeed for stopping by. Thank you for your comment. It means a lot to me. More articles will be posted real soon. Have a great Monday today! Thank you indeed for your comment. I’ll keep on sharing more creative content with all of you. Stay tuned. Thank you indeed for your comment. It means a lot to me. Every single article or image is a new fashion story for me. I’m taking notes of your questions to write an article that will really help you. Please keep on visiting my website. Your comment is very important. Thank you for your comment. It means a lot to me to know that my articles are informative for all of you. Thank you indeed for your comment. Please keep on visiting my website and sharing your opinion. It’s my pleasure to share creative content with all of you. I’m really happy to read your comment. Please take a look at more articles on my website and leave your comment. It’s very important to know your opinion. Thank you. It’s so important for me to know that you visit my website from the beginning. Please take a look at more articles and leave your comment. Our Monday conversation has already started to more boards. I can’t wait to hear from you real soon.